Nothing comforts me more than knowing that the food I eat is helping me, fueling me to start my day off right. This in turn helps fuel my body long term and in the long run may increase my energy and life. We don't know how long we have but each day can be used to help fuel and make our body run stronger and healthier. 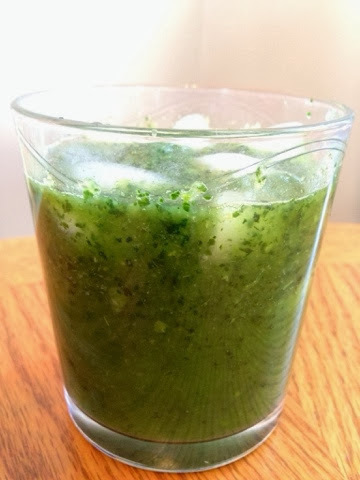 This recipe shows you how a simple breakfast juice can wake you up and fuel your day. 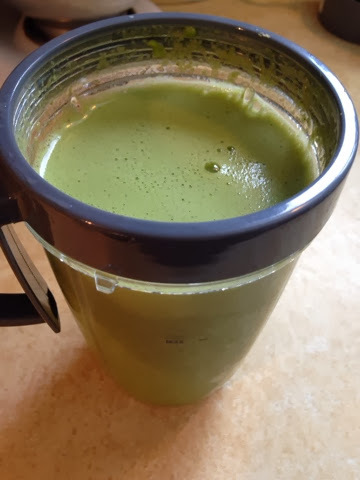 It may be mean and green but this not so grouchy juice packs a punch and it'd addictive in taste. Sweeter than it looks, this juice will help wake you up and level you going. Serve it chilled over ice and pairs nicely with your morning on the go routine. Don't let this grouchy green juice fool you, it's got a sweet interior. A breakfast of champions! Enjoy! Put all ingredients in your blender and purée until smooth You can purée to desired consistency. Once smooth, pour into glass or on the go cup and enjoy!